Jakob Edler is a German academic in Manchester. His opinion is very important. He wrote this before the Brexit. 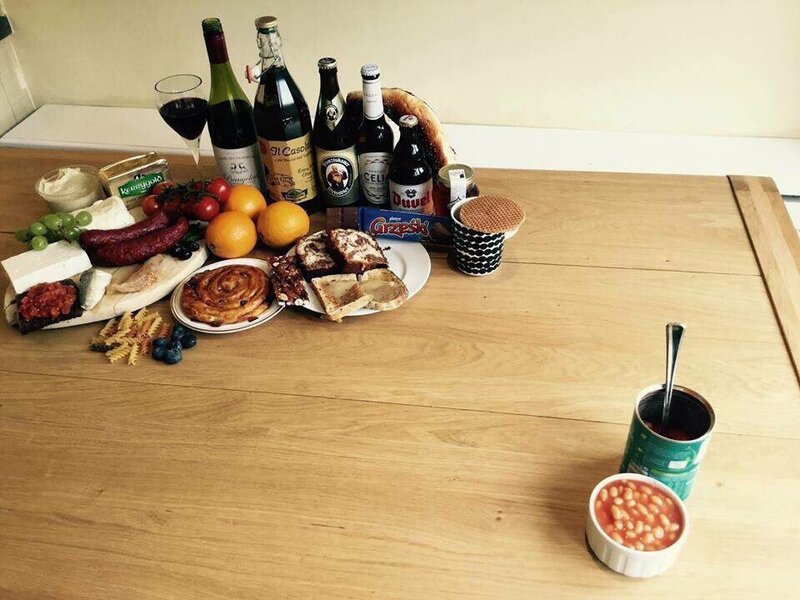 Today the British decided to leave (by a short majority). Is the UK really going to send the right message ? In fact it does not depend upon them. I believe it is now an opportunity for the rest of the European Union members to be honest about the future. Immigration is not the issue, although all talk about it. The issue seems to me to be policies that do not make our lives better. Crushing the people with austerity is the issue. Lack of democratic debates is the issue. Who knows about the European Parliament ? Why is the Greek crisis always decided into the closed rooms among non elected ministers ? Why is the TTIP discussed in closed rooms ? What is the reason to accept this permanent negation of democracy ? The EU is becoming worse than former soviet republics in Central Asia. Crushing the lives of people. Becoming a friend of Al-Sisi in Egypt and Erdogan in Turkey. Considering Turkey a "safe country" for migrants ! Signing agreements without previous democratic debates. Refusing to act in Syria in favour of the democrats and preferring them to disappear and they crying for their absence after the murderers of Syria have killed their own people. Refusing to discuss issues such as social security, working conditions and work management with the unions because we are supposed to have entered a new epoch. The epoch may be new, knowledge may be more important, but it is still people who work and live. The fault lies here, in the EU, not among the British. I am an academic in innovation and innovation policy studies at the University of Manchester. But I am writing this little comment to the Brexit debate not in that capacity, but in my private capacity of being a European German, a German European, living and working in this country, paying taxes for almost 10 years, and loving this country. I write because I care deeply about it, about Europe and about how we want to live together in the decades to come. As a democrat, needless to say I will always respect the decision of a referendum. But as a democrat I cannot respect the tone and focus of the Brexit debate in this country. The UK makes the biggest decision for and within Europe for 50 odd years, defining the road towards how we want and can live together in the 21st century. Sadly, the debate does not reflect this enormity at all. This is not only disappointing, this is irresponsible, and I am sorry to say, it is a reflection of the culture of political debates in the country more generally. Normally, I do not care too much, each country has its way of debating, and has its media to reflect or fuel those debates. And surely who am I to tell the country what I think about this less impressive part of its culture ? But in this question that concerns all of us Europeans, living and paying taxes here or not, I cannot hold back but comment. My argument is not economic, although I deeply believe that the short and long term consequences for this country are deeply worrying. To discharge the arguments of all international organisations and the majority of institutes in this country as either interest driven or amateurish, and to simply denounce the arguments of the majority of company directors and large international investors in this country is an indicator of desperation on the leave side rather than a measured assessment of data and arguments. My argument is not interest driven for my own profession and sector, academia and Higher Education, although like the overwhelming majority of academics, I have a clear standpoint to stay. I deeply believe that the integration of research, enabled through Europe, is an absolute necessity that would be, one way or the other, hampered by Brexit in ways unimaginable to the Leavers. Further, the hope that the UK money that UK scientists and firms receive through the European programmes would be fully re-allocated to national science budget - to reverse a policy introduced by Thatcher - is naive to say the least. It will be needed to fill some other holes opening up after Brexit. Not to speak of the long term consequences for the attractiveness of this science and education system for academics and students alike. If you do not understand the link between the excellence of the UK science system on the one hand and its openness on the other you may argue for closing the system again – and be surprised what it means in years to come. My argument is also not about immigration, although I fail to understand how Brexit will improve to “take back control”, if that is what the UK wants. There is control for immigration from outside the EU already, and there will be less control over extra European immigration into Europe that seeks to land at UK shores (to mention just one obvious example, why should France hold back African immigrants in Calais ?). To use, on the Leave side, the plight of Syrian refugees with a recent 2 to 6 metre poster is not only deeply misleading, it is going so much against all I and many of my German friends associate with British (and yes : European !) values that it makes one physically sick. And very very sad. As for immigration from within Europe, think about the 2 million UK citizens working and living in Europe, think about the taxes paid, like mine, into the system, think about the NHS and other public services not working without those EU “immigrants”. And to blame immigration for a lack of professional education for the young generation of UK citizens is a far too visible attempt to plaster over decades of neglect for those groups regardless of immigration. My argument is not about all those things, where I do think people can have different views and worries. My main point is not even about the debate on those issues, which is unbelievable in its hypocrisy. This includes the role of the media, which is reduced to puffery, for one side or the other, or – much worse – tries to hide strong bias behind some allegedly balanced formats (yes, BBC, your credibility is about to go, and the masters you try to serve will have noticed how soft your backbone is, much easier to finally crack very soon then they had dared to hope). No, my argument is about the long term future of our children and their children, what Brexit would do to it and what this horrendous debate already has done to it. This major dimension of the debate is absent, on both sides of the argument. A failure of the Remain side that is incomprehensible to me – and sadly a reflection of the political culture. But also a sign of the contempt the elite have, on both side, for the electorate, who apparently need to be bribed with false promises or threatened with poorly argued or simply fabricated economic threats rather than to be engaged in a meaningful debate that goes beyond the next economic cycle. The 21 century will be a century of more, not less economic and social interdependence, of more, not less, complexity, of more, not less competition of values, of more, not less transnational crises and opportunities. The European Union is a historically unique way of dealing with all this. It was founded against the background of hostility and wars that has battered the continent for thousands of years. To understand this, and the enormity of the decision to be made in June 23, a very short recourse to history is needed here. The Westphalian Treaty 1648 was the birth of the modern Nation State in an attempt to pacify Europe after 30 years of bloody war. The Vienna Congress in 1814/1815 was a further consolidation of that idea of nation states, after another 13 years period of war in Europe, with new borders and new states, albeit with a range of multi-ethnic states. After that, the idea of a nation state became dominant, in economic competition (think about the “made in Germany” label to inform buyers about the origin and poorer quality of German products amidst national trade and tariff conflicts across Europe), erupting in military conflict and the catastrophe in1914, followed by a second catastrophe, the global war triggered by Nazi Germany. What followed was a daring, unlikely attempt to institutionalise another, de-nationalised idea of Europe. This idea was not brand-new, even in the height of nationalism in the mid 19th century, intellectuals and writers like Victor Hugo propagated a United States of Europe. Hugo expressed this idea first in 1849, and repeated it in the decades to follow. An Utopian idea at the time. And still, amidst the rubble of the second world war, after the most lethal consequences of nationalism hitherto unimaginable, Monet and Schuman and others went back to that idea. Maybe the first amongst those statesmen was Winston Churchill himself, whose stubbornness and bravery in 1940 helped to prevent the Nazis from taking over all of Europe, arguing in 1946 that it “is to re-create the European family, or as much of it as we can, and to provide it with a structure under which it can dwell in peace, in safety and in freedom. We must build a kind of United States of Europe”. We all know that the history that followed was not an easy one, with tensions between leading nations, with ins and outs. But we also know that war with the EU is unthinkable, and we also cherish the ease with which we move, work, compete, cooperate, cheer and enjoy ourselves within this great continent. Britain has been instrumental in much of that development, for the better, with deeply held principles and with pragmatism, contributing with the self-confidence of its hundreds of years of experience in developing a functioning democracy. As a German I dare to say that without Britain, our German and European democracies would not have been imaginable the way they are. And now this ! We have a campaign to leave the Europe of Churchill and Hugo. A campaign, as we all know, that has originated not from the growing choir of sceptical citizens who want “control back”, but from an internal Tory conflict at a time when according to all polls the EU question was not at all high on anyone’s agenda (bar some Tory backbenchers and another party with U at the beginning, but whose name I forgot, sorry). If the UK left, based on the irrational and limited debate we are condemned to witness day in and out, the long term consequences would be dire. One will hear the cheers of joy from the Autocrats in the East of Europe to the preachers of terror and hatred in the middle east. This is “divide et impera” (to say it in the favourite – yet dead ! – language of one of the leaders of Leave campaign, B. Johnson) gone mad, where those to be divided do it themselves only to be less strong against adversary. This is the main point. Brexit is about dividing our care for security, our economies, our solidarity (as limited as it still is), our sense of belonging, to re-establish the idea that the first and foremost centre to turn to for any challenge thrown at us is the nation state. Britain first. Germany first, Netherlands first. Luxembourg first. First for what, with what, why ? What this does is to bring back the “we” against “us” idea within and across Europe. Ask the 93 year old veteran writing in the Guardian this week about how he fought to prevent Europe from ever falling back to this kind of logic. He did not fight for Britain first, but for values. We have the responsibility to keep up and defend our European values against its adversaries, and it is illogical to think that in the 21st century the little (yes : little !) nation states can do that better alone. We have the responsibility to defend the public interest in Europe against the power of few internet based giants and ever growing economies that represent different values from ours. We have the responsibility to work tirelessly to improve the way we try to do this. The EU is far from perfect, maybe even far from good, as a model of governance (however, note : 25% or so voted for what is now a Conservative majority government in this country, while the European Commission is confirmed and can be sacked by a European Parliament based on proportional vote). But rather than turning our back, one after one, we have to work to improve it. Transnational and joint problems need institutions that own those problems, that take care of them at the right level, with checks and balance. This is complex, always will be. I concede, as a German the idea of complex governance between different layers is easier to swallow than for many in the UK, as we have history of messy multi-level governance arrangements, with very strong city states and regions negotiating with each other and with the centre for over a thousand years. But there is no real alternative if we want to avoid the slippery slope to re-nationalisation and its perils. If the mother of democracy goes back to a pre-integration logic, why should others not follow and, for short term political gains, sacrifice the historic merits of integration (some who might, in the East of Europe, may take a while, though, as they still have their eye on net monetary gain they recognise gladly instead seeing the idea behind it). One could interpret the comparison of the unique historic achievement of de-nationalisation with the hubris of Napoleon and the horror of Hitler as a frivolous attempt of B. Johnson to rescue his gamble of joining the Leave campaign on his way to Downing Street 10. But this calculated verbal atrocity is a sign of things to come, of a change of political and soon economic discourse, “them” (the French tried it 200 years ago, the Germans 70 years ago) trying to control “us”. Back to square one of the 19th century then, but London 2016 is not Vienna 1815. 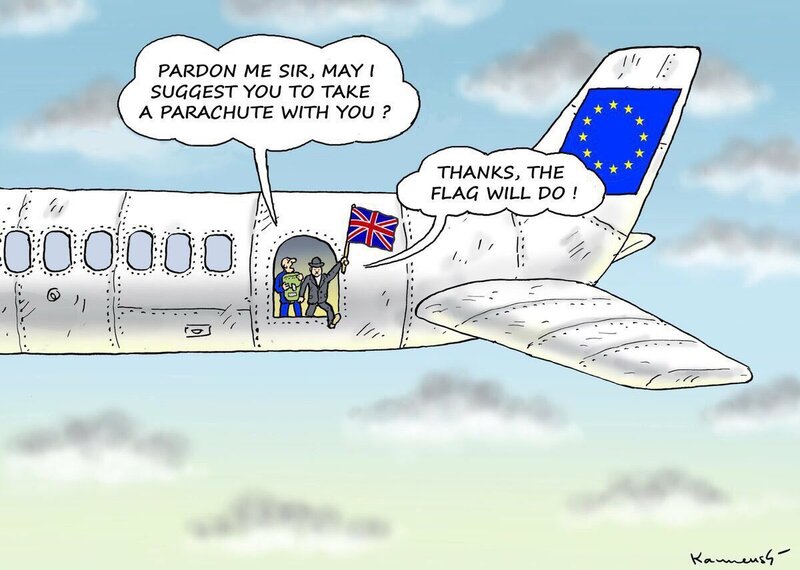 If the British people vote to leave, they vote to leave. It is the basic right of any democracy and its citizens to do so (mind you, however, what a citizen is here is tricky, it seems, as UK citizens living in Spain or elsewhere are now excluded). But at least they should do it having seriously debated about the historic consequences for the long term future of their children and grandchildren. The development that would be triggered might not be reversed. As a UK loving German European I refuse to believe that the British people will not raise above the level of the public debate they experience. And I hope in doing so they stay.